I have added the materials list that somehow mysteriously disappeared from the other first versions. For your convenience I have combines all 3 eBooks into 1 Print book that is now available as well from Amazon. Thanks for bearing with me. Sorry my posts have not been as often as before. I have been trying hard to organize this massive amount of literary works my Dad left me. I will be uploading some other stories here for download very shortly. I need to complete some technical things on the site first and clean it up a bit and fix the menus etc. 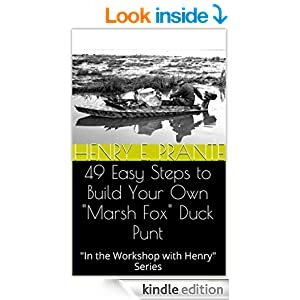 New EBook on Amazon now with an easy to follow design to build your own “Marsh Fox” Duck Punt by Henry E. Prante was just listed March 17, 2013. It features 49 easy steps to building your very own “Marsh Fox” duck punt as well as diagrams. The “MARSH FOX” is a light weight (about 88 pounds) one-person duck punt especially designed for the marshes of British Columbia, BC — but could just as easily be used anywhere on earth that has marshes and wetlands.This home built duck punt can get waterfowler’s, photographers, and anyone who so desires, much closer to their quarry among reeds and marshes and improve the success of their outdoor adventures.This book outlines an easy to follow 49 step by step method of building your own “Marsh Fox” duck punt. 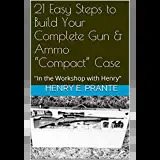 It includes the actual design and other helpful information to improve upon your success.Some basic woodworking skills and tools are necessary, but I believe you will be pleased with the result if you follow the design and instructions as they are laid out. I hope you enjoy this project and your new adventures. Please do let me know how you make out. Thanks very much for buying this book. I am also going to find out if it can be uploaded there as a PDF as well as the Kindle format. The Smashwords edition is no longer available at this time. Sorry. It has been un-published as I decided to re-publish with Amazon and they required that I un-publish it. It will still be available to those who bought it or downloaded a complimentary copy previously. 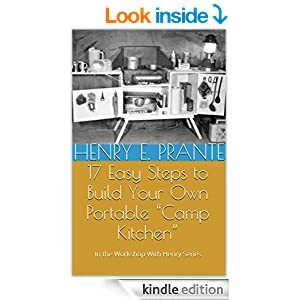 Like many young boys, Henry Prante’s imagination was stirred by tales of big game hunting in the Canadian wilderness. He loved to share his multitude of stories from his trips, and hopefully this collection of adventures will ignite the imagination of a new generation of hunting enthusiasts, and anyone who would just enjoy a series of good adventure tales. Join Henry, as he and his friends, go after British Columbia’s fantastic big game — bear, sheep, deer, moose and more! Our family truly enjoyed eating the healthy organic meat he brought home and we still miss Dad dearly. Thanks for bearing with me. 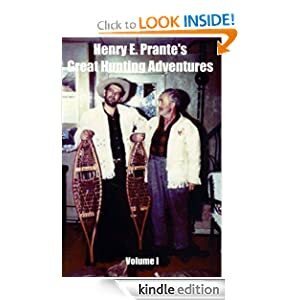 I also hope to be able to have the new Henry E. Prante’s Great Hunting Adventures Volume 2 published this month on Amazon as well.